The subscription service is the only way to play Battlefield 5 right now, so let's weigh up if it's worth $100/£90 a year. Across all areas of games, publishers are trying to figure out what a Netflix-style subscription model looks like. Xbox's Game Pass offered the excellent Forza Horizon 4 at launch. Sony's PlayStation Now service requires a better internet connection than I have, but the prospect of playing Bloodborne on PC without buying a PS4 isn't bad at all. Humble Monthly, meanwhile, offers a suite of game keys you get to own forever, a vault of DRM-free indies to download, as well as discounts on its store. For the last week or so, I've been bombarded with Anthem and Battlefield-branded Facebook ads for EA's Origin Access Premier subscription program, which it announced back at E3 and launched in July. Right now, this $100/£90-a-year service is the only way to play Battlefield 5 on PC before launch, which sends a bold statement about where EA sees consumer spending going in the next few years. According to a SuperData study of Q3 2018, EA owns about a 17 percent market share of game subscriptions revenue right now in the US, with 9% of that coming from Premier. With Battlefield 5 out now, I decided to spend £15, create a new EA account, and check Premier out in detail. EA's service comes in two tiers—the previous Basic tier and the newer Premier tier. The former, which costs $30/£20 per year, comes with a vault of 150 games. Premier, which costs $100/£90 for a year and $15/£15 per month, currently has 156. Those six additional games are FIFA 19, Unravel 2, A Way Out, Madden 19, Star Wars Battlefront 2 and of course, Battlefield 5. There are other differences too, like the expansions included with each game: in Basic, you get The Sims 4 Digital Deluxe Edition, but without the Dine Out and Kids Stuff expansions, which come with Premier. Dragon Age Inquisition's DLC is available with the game on the Premier tier. You also get 'MTX bonuses' (an abbreviation for microtransactions), which I believe refers to the fact that you get to play the most expensive edition of each game. 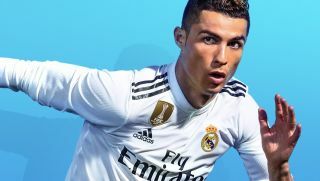 For FIFA 19, you download the Ultimate Edition, which comes with 25 Ultimate Team Jumbo Premium Gold Packs, and a couple of loan players (Ronaldo and Neymar). Battlefield 5 offers the Deluxe Edition, which gets you 20 weekly items, special assignments (basically more challenges to unlock rewards), and six sets of Paratrooper gear rather than the regular edition's one. Whether that's exciting or not to you depends on if you're into these games enough to value those kinds of extras, which I personally wouldn't be—either way, you're getting the most expensive version of the game with your membership. Not to keep, though, of course. The service's FAQ page could do with being more comprehensive about what happens when your membership ends. If your membership lapses, you should keep your progress if you decide to buy the game in question instead of resubscribing. According to this EA Answers post, if you decide to then buy the standard version of the game instead of the fancier one, you'll lose access to the in-game items you might've had. "Any in-game unlocks or content you received as a result of [Origin Access Premier] granting you the best version of the game will be removed. Your progression should remain as it is but certain items may no longer be accessible to you." Something to keep in mind if you were just planning on trying out a game in Premier before buying. Then, of course, there's the exclusivity element to the Premier tier. The service promises at least five days of early access to full EA games before launch—Battlefield 5 went on the service 12 days before its actual November 20 release, last Thursday. People who buy the game's deluxe edition for $80/£70 only get access on the 15th. It really feels like EA is pushing Origin Premier first in this case, then, over people preordering the game. That might be considered controversial—maybe it's a test run. If you're on the fence about Battlefield 5, the Basic tier will still give you a ten-hour trial. Harder to figure out is the value of what you'll get in the future. The Facebook ads I keep seeing for Premier make a big deal about BioWare's Anthem, which arrives in February. We also know Respawn is likely to release two games next year—Star Wars: Jedi Fallen Order and probably Titanfall 3. The EA-published 'indie' game Sea of Solitude is also arriving in 2019, though it's not mentioned as part of the service on Origin right now. Presumably, Madden and FIFA will return in the same form next year too, but if you knew more about which games will be added within the next 12 months, you might feel better about dropping money on the yearly option. As for the other games in EA's 'vault', available across both tiers (but varying by region in some cases), they're not bad at all. It's powered by heavy hitters from EA's catalogue, like Dragon Age Inquisition (the DLC just comes with the Premier tier) or the most recent Mirror's Edge game, which I enjoyed more than most people. You've also got a few decent games from other publishers that I've seen discounted a whole bunch, like Mad Max, or the older Arkham games. Then there's a few PCG indie faves, like spooky space game Duskers, Jonathan Blow's The Witness, or the tricky but rewarding puzzle game Opus Magnum. There are good reasons to consider EA's service if you're the right kind of player. Given that FIFA is a habitual purchase for a lot of people—though I have no idea what its audience is like on PC compared to consoles, given that EA only started doing the full-fat version a few years ago—an annual subscription where you don't own the game but play the new version every year might make sense. Likewise, if you're the kind of person who tends to only play multiplayer FPS games for a few months, maybe playing Battlefield 5 but not owning it isn't as big a deal to you. The question to ask yourself is this: will you play any two of Madden 19, FIFA 19, and Battlefield 5 this holiday season? And can you stomach not owning those games outright? If the answer is yes, you can spend $100 on a yearly subscription to play a minimum of $120 worth of new games—with the added bonus of playing Anthem when that arrives in three months. That said, if you're not into sports games at all, there are limited reasons to recommend Premier right now beyond Battlefield 5. If EA had another non-sports heavy hitter out this holiday season, like a new Star Wars game or a BioWare RPG, maybe I'd feel differently. The Sims 4 is also one area where Premier doesn't offer everything it could. If all, or at least more of the expansions were thrown in with Origin Access Premier, I think it'd be a pretty unbeatable deal. As it stands, you just get a 10 percent discount on more recent expansions like the excellent Seasons and Pets regardless of which tier you choose. In games, I feel like we're more attached to the idea of ownership than we are in other media, where services like Netflix and Amazon Prime Video have trained us out of thinking we need to own all our favourite films and TV shows on DVD or Blu-ray. Indeed, I still prefer to own my games, but the existence of Premier makes me question if I'm prepared to give that up for games like Battlefield or FIFA, where a yearly or biyearly instalment will eventually supplant a previous version. Maybe one day I will be. But I think Origin Access Premier needs more non-sports games to help make it an enticing subscription—for now, the same discount and games vault offered by the Basic tier seems like a better fit for me.